Are you a recent or soon-to-be college graduate in need of a reliable new vehicle to drive off into your future with confidence? 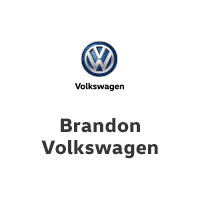 At Brandon Volkswagen, you may be eligible to save up to $500 when you buy or lease a new Volkswagen as part of the Volkswagen College Grad Program! * Visit our VW dealership in Tampa, FL, to speak with our Volkswagen finance team and find the new Volkswagen that’s right for you. At Brandon Volkswagen, you’ll find just what you’re looking for when you browse our expansive new Volkswagen inventory. Looking for a sleek new Volkswagen sedan to cruise through the twists and turns of Tampa? Consider buying a Volkswagen Jetta or leasing a VW Passat. Or, if you’re more interested in the versatility of a Volkswagen SUV, get behind the wheel of a VW Atlas or Volkswagen Tiguan. You can even drive away in a VW Beetle and enjoy its classic Volkswagen design. And because we know that style is just as important as performance, we offer a wide variety of eye-catching Volkswagen colors to choose from. To get started on financing the new Volkswagen of your dreams, stop by our Florida VW dealership and take advantage of our Volkswagen college grad savings! You must be a United States citizen or permanent resident. You must have graduated from a U.S. or Canadian accredited college or university with 24 months of your Volkswagen finance or lease application. You must provide proof of full-time permanent employment or a written commitment from your future employer. Come by our Tampa Volkswagen dealership to get started on buying a new VW sedan or leasing a new Volkswagen SUV. The Brandon Volkswagen finance team will answer all your questions about how you can save with the Volkswagen College Grad Program!